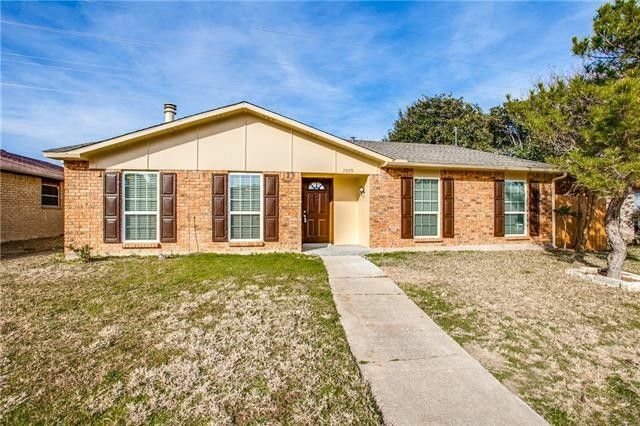 Nicely remodeled NE Dallas home. Large living room with vaulted ceilings and floor to ceiling brick floor to ceiling WBFP. All new eatin kitchen with new cabinets, granite countertops and stainless steel appliances. Beautiful ceramic tile floors throughout, new carpet in bedrooms. Completely redone bathrooms, Master and second bedroom have walk-in closets. Private backyard has new wood fence. Directions: From Shiloh Rd go east on Santa Ana Ave, left on Vistamar St, left on Weather Vane Ln.